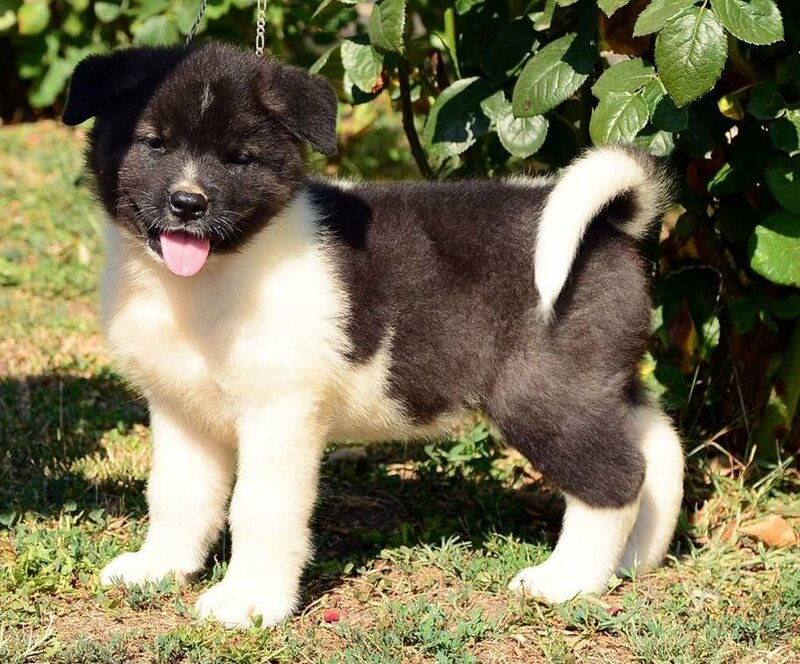 The Akita is a substantial breed for its height, with heavy bones. They have a large, bear-like head with erect, triangular ears set at a slight angle following the arch of the neck. 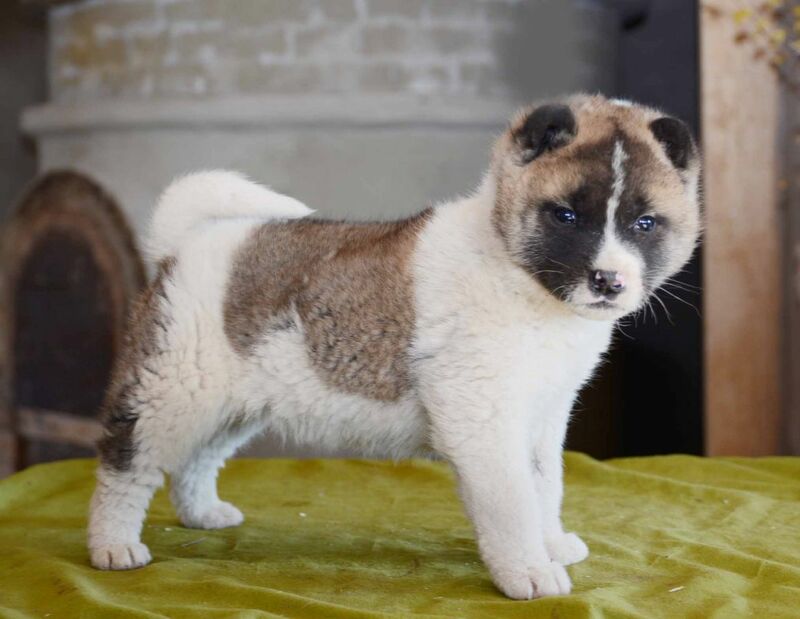 The eyes of the Akita are small, dark, deeply set and triangular in shape. 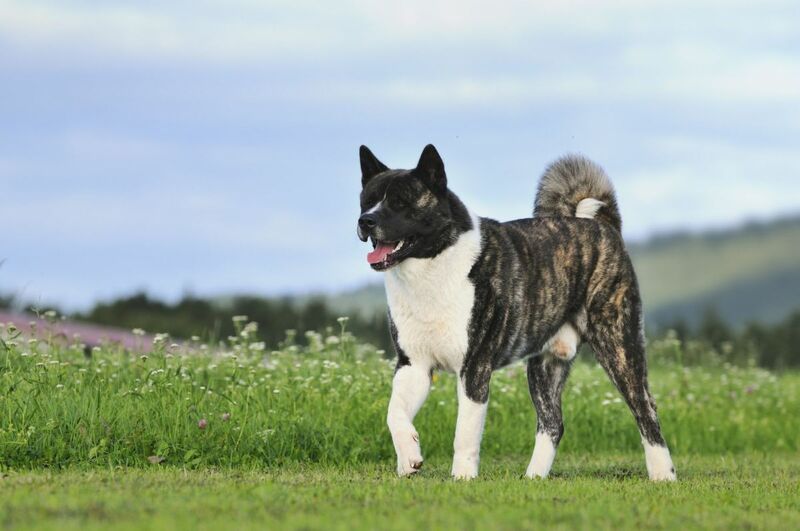 The Akita takes its name from the Akita Region in Japan, where it was first bred. It was first used as an Imperial Guard Dog, before its strength and intelligence were put to use in fighting and hunting. It could bring down a bear, and had the swimming skills and soft mouth needed to retrieve waterfowl. Today, the Akita is still used in police and army work. 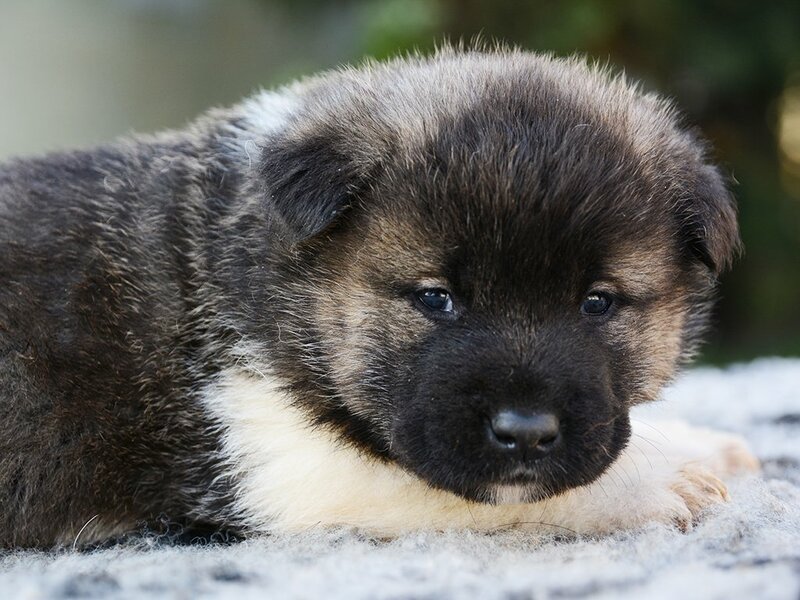 The Akita is said to be careful, courageous, fearless, and intelligent. Sometimes spontaneous, it needs a confident, consistent handler, without which the dog will be very willful and may become very aggressive to other dogs and animals. 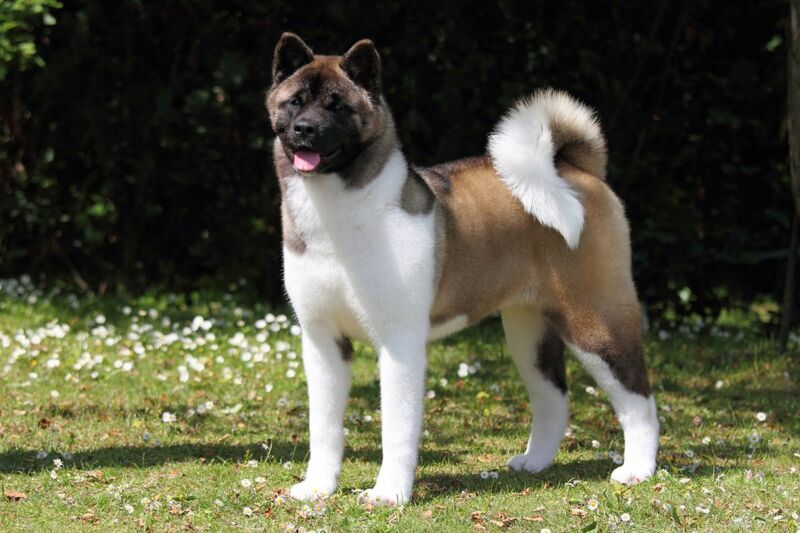 Breed standards state that all dog breed coat colors are allowable in the American Akita, including pinto, all types of brindle, solid white, black mask, white mask, self-colored mask, even differing colors of under coat and overlay (guard hairs). Akitas have thick double coats, and tight, well knuckled cat-like feet. Their tails are carried over the top of the back in a gentle or double curl down the loin. Grooming them should be an easy process. They are fairly heavy shedders and can go heavier than normal two to three times per year. Akitas are very health dogs, but may suffer from hip dysplasia, and nervous and auto immune diseases. To help prevent the chance of hip or elbow dysplasia developing make sure your dog is on a healthy, well proportioned diet, and avoid excessive running and jumping while still a puppy as this can be hard on the developing joints. Because of their small eye size ingrowing lashes may occur (though this usually corrects itself after puppyhood). There are also cases of dwarfism. The Akita is happiest in a large yard, though it can manage in an apartment if it gets moderate but regular exercise. Because of its thick coat, it will be uncomfortable in warm environments. Seien Sie vor Allem, wenn eine neue Amerikanischer Akita Rasse zum Markt kommt. 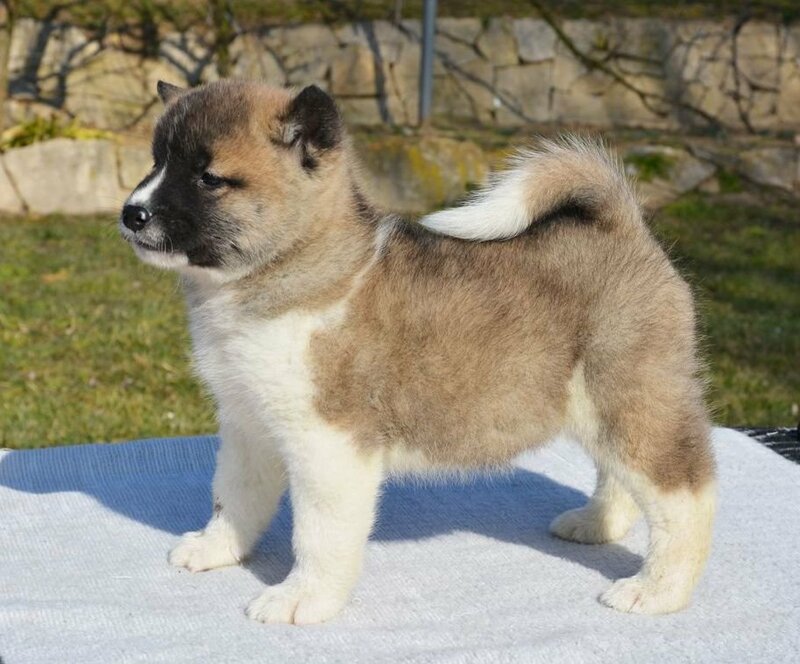 I consent to receive Notifications when new Amerikanischer Akita puppies are posted.